One of the things I miss the most about living in Germany, especially at this time of year, is browsing around the Christmas markets, or Weihnachtsmarkte, that are found in big cities and small towns across Germany. 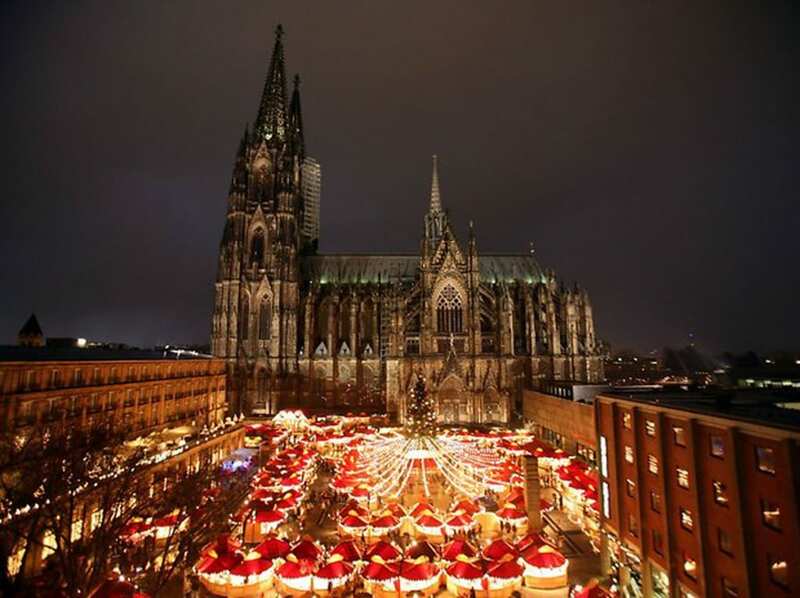 You may have even heard of the most famous Christmas markets in Nurnberg or Munich, but my favorite Christmas market is in Cologne. 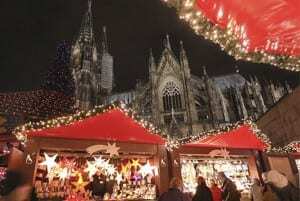 Sitting at the base of the huge Gothic Cathedral, the Christmas market fills the large town square with booth-after-twinkling-booth of things to delight your eye! A large Christmas tree stands above the concert stage in the middle of the market, which is always filled with carol singers accompanied by musicians. 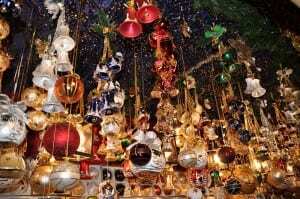 There are booths filled with sparkling glass Christmas ornaments in all shapes, sizes, and colors. 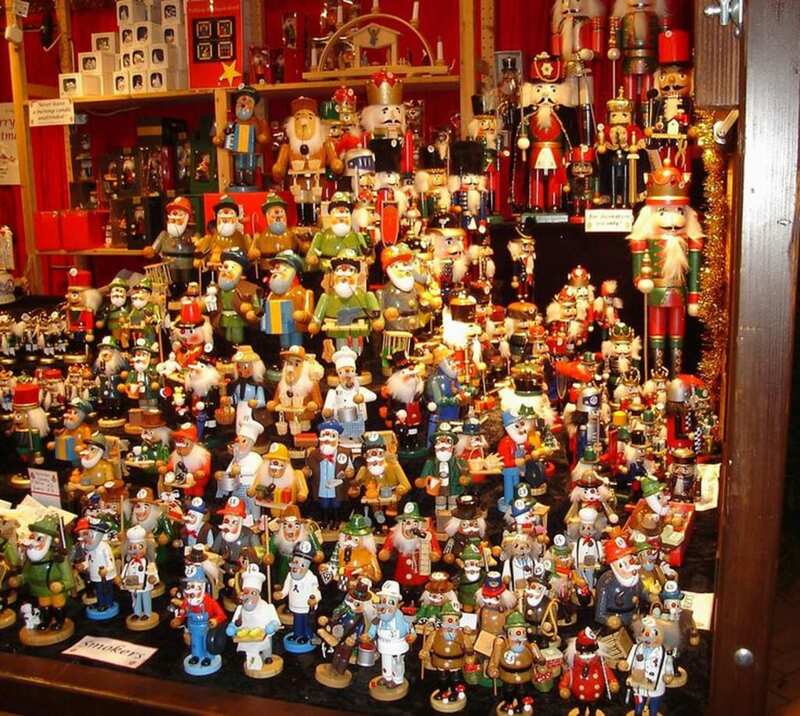 There are booths filled with hand-crafted wooden toys, jolly wooden nutcrackers and smokers, and all sorts of gifts to take home to your family and friends. There are booths filled with giant cookies that say Ich Liebe Dich! (I love you!) and roasted nuts that smell incredible as you walk by. Even bundled up in winter coats, scarves and mittens, eventually you begin to feel the cold as you wander through the booths, each more colorful and inviting than the next. 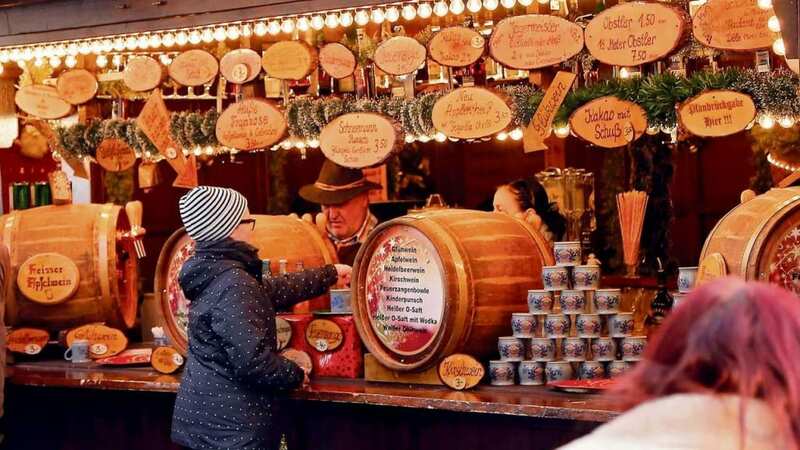 It’s time for Gluhwein! 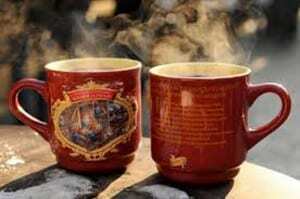 Spiced warm wine, or hot chocolate if you prefer, in souvenir mugs is just the thing to warm your hands – and, after a couple of mugs, your toes and nose too! But my absolute favorite is the booth with the chocolate dipped fruit! 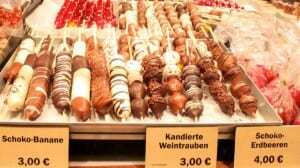 Skewers of chocolate-dipped fresh fruit – pieces of bananas, pineapples, grapes, strawberries – dipped in white chocolate, milk chocolate, dark chocolate – it is divine! Although not found at the Christmas markets, my favorite meal at this time of year in Germany is Christmas goose. If you’ve never had goose, you’ve missed out. It is mouth-wateringly delicious! It tastes similar to duck and is traditionally served with Klopse (round steamed potato dumplings), rotkohl (pickled red cabbage) and roasted chestnuts – my all-time favorite German meal. 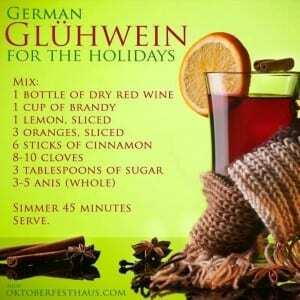 Although I’ll miss out on the Christmas goose and chocolate-covered fruit this year, I’ll be reminiscing while trying out this Gluhwein recipe I found on Pinterest! It calls for 1 bottle of dry red wine, 1 cup of brandy, 1 sliced lemon, and 3 sliced oranges. To add the spice, stir in 6 sticks of cinnamon, 8 to 10 cloves, and 3 to 5 whole anis. Mix in 3 tablespoons of sugar then simmer for 45 minutes. This entry was posted in Entertaining, Food, Holiday Fun and tagged Christmas, German Food, holiday, holiday cooking, recipe, travel, wine on December 13, 2016 by admin. EuroLux Home has been getting a lot of media coverage lately. 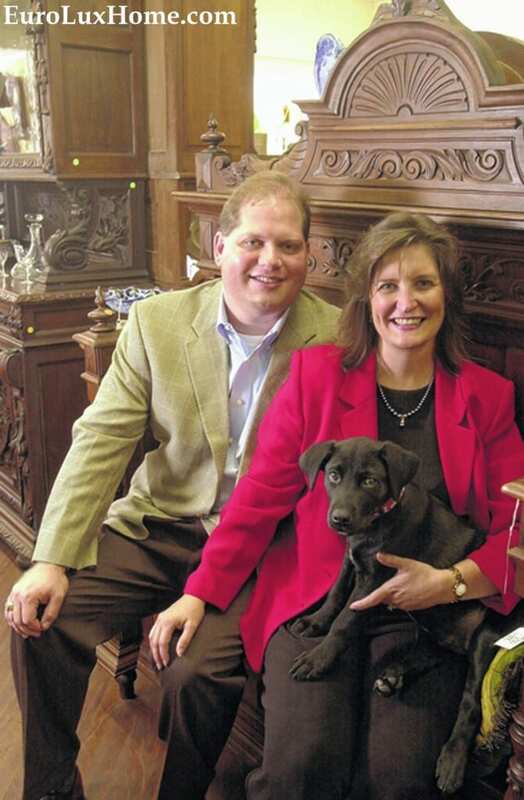 First, the Newberry Observer ran an article “Passion = Career” about how Greg and I fell in love – and at the same time fell in love with antique furniture! The newspaper followed up with another article about EuroLux Home and how we started our antique furniture business. Then we appeared on TWC News when “Around Carolina” visited Newberry, SC, to tell viewers about all the attractions in our historic town. We were thrilled that our EuroLux antiques store was included in their places to go! They stopped in and talked to me, as you can see in the video clip. The filming happened in a flash. I think I spent more time making the guy move the camera around to get an angle that I liked than we spent on the actual interview itself. He probably didn’t have anyone else demand to see his screen prior to filming! I then promptly spilled coffee all down the front of my shirt as soon as the interview was over. “Around Carolina” also featured my very favorite restaurant, Fusion. I love the Bangkok noodles with vegetables and cashews and Greg always gets the Basil Duck. Papasan is shown in the video and he is a wonderful host! The whole staff is very welcoming and friendly, the food is fantastic, and sometimes Papasan even gives me a sake on the house! They have great reviews on Trip Advisor. Cabana Café is another excellent restaurant in Newberry. I usually order the prime rib with shrimp and scallops as it is excellent. Cabana Café is a great place for a special celebration like a birthday or anniversary or as a treat before a show at the Newberry Opera House. The new Opera House schedule is out and we’re looking forward to seeing Yacht Rock Revue this year – a tribute to 70s light rock like Hall & Oates, Steely Dan, etc. 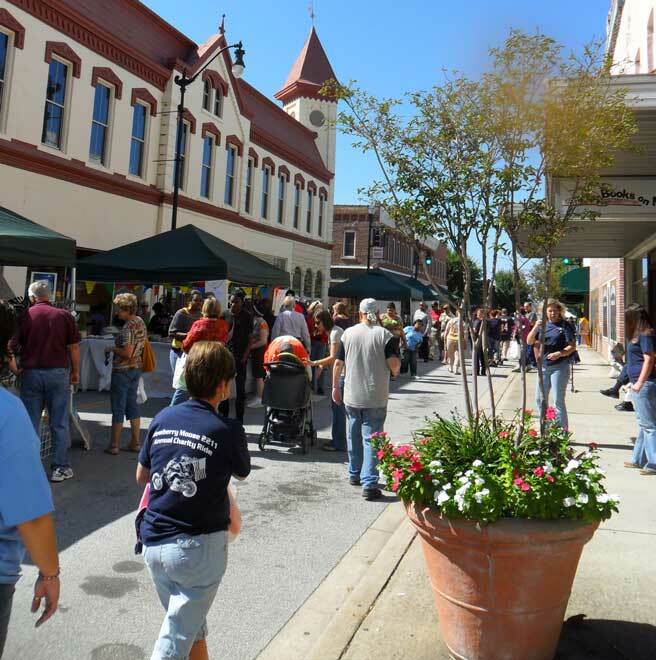 Yet another great reason to visit Newberry, aside from the great antiques shopping, dining and entertainment, is the annual Oktoberfest! I’ve told you about Oktoberfest before in my posts Newberry Oktoberfest: Liver Nips, Polka, and Puppets and Happy Oktoberfest in Newberry, SC! Oktoberfest is on October 1 this year and the city is doing a new costume contest which should be a hoot! We usually like to find something good to eat like a brat and sauerkraut at the food vendors around the main square and Greg usually can’t resist buying something scrumptious for dessert like a slice of home-made red velvet cake from the local church bake sale tables! This entry was posted in News and tagged Antique Furniture, Antiquing in Newberry, European Antiques, German Food, Oktoberfest, Oktoberfest Newberry, Oktoberfest Newberry SC on September 21, 2016 by admin. Newberry Oktoberfest is the best Oktoberfest in the whole of South Carolina, in my opinion! You might say I’m biased as Newberry is our hometown but there’s a reason why Newberry is known as the City of Friendly Folks. We’re a small community of around 10,000 and it’s one of those old-fashioned places where everyone is quick to wave and smile and stop for a chat. And boy, do we ever enjoy a rousing oompah party! If you ever come to Newberry Oktoberfest, you’ll see for yourself. 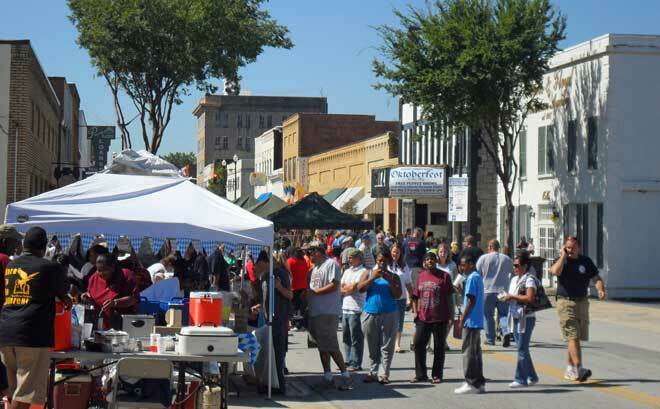 Newberry Oktoberfest is always held on the first Saturday in October on Main Street in the historic Downtown district. Pop by and see us at the EuroLux Antiques gallery right on Main Street. We’re hard to miss, in an Art Deco building dating to 1910, with a big sign that says “Antiques.” The 2013 event is on October 5 from 10 am to 5 pm, followed by an evening free outdoor concert. 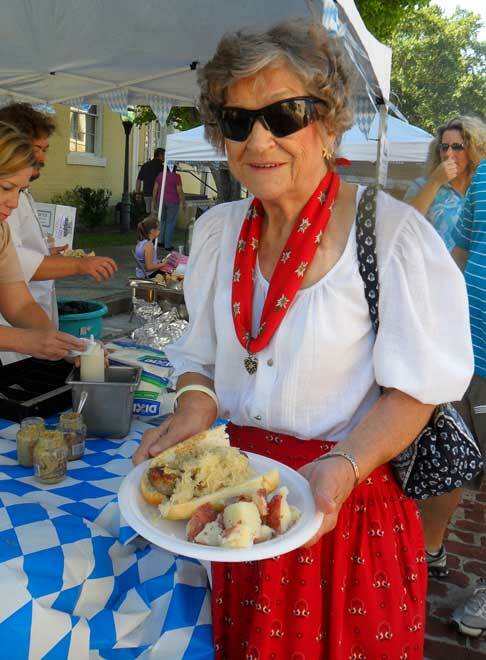 The celebration of Newberry’s German heritage packs Downtown with crowds of people browsing tons of arts and crafts vendors and enjoying delicious food. The 3 Dot Polka Band kicks off the live music at 10 am, followed by more musical entertainment from bluegrass to blues. Children’s activities include inflatables and other fun in the Kids’ Zone. This year the Columbia Marionette Theatre gives free puppet shows at the historic Newberry Ritz Theatre. Kids of all ages will get a kick out of the new video game truck near the Newberry County Courthouse and by the annual Classic Car Show next to Memorial Park. Rocktoberfest is a new addition this year, starting at 7:30 pm in Astwood Park opposite the Courthouse. We’ll all be dancing the night away at the free rock concert featuring Tom Mackell of Charleston and the Rival Brothers of Columbia. 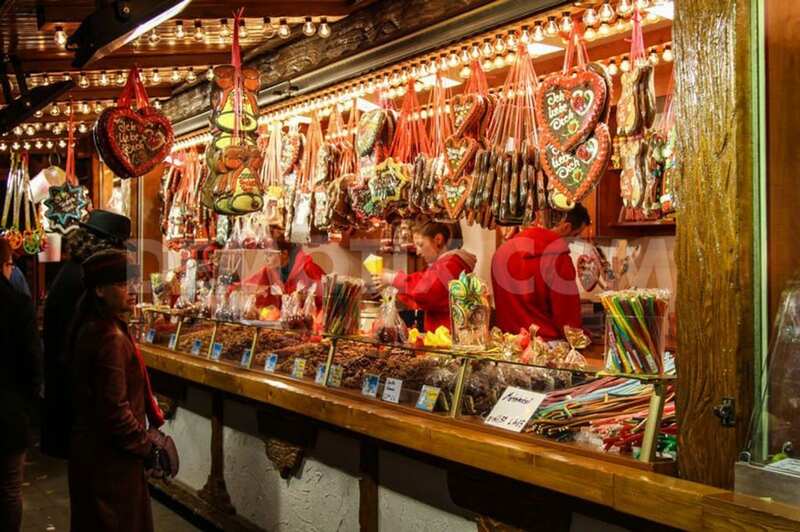 Of course, you can’t have Oktoberfest without a lavish spread of German food and a Biergarten! 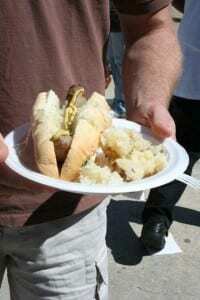 Pile up your plate with bratwurst, schnitzel, German potato salad and sauerkraut. Try to leave some space for the oh-so-moreish home-baked goods. 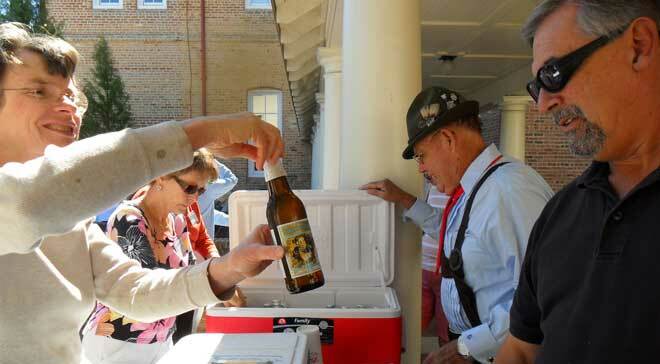 Wash it all down with a celebratory brew from the large selection of domestic and German beers in the Biergarten at the Newberry Opera House. If you don’t have your own beer stein or tankard, maybe you’ll find one you like in our collection of vintage barware. 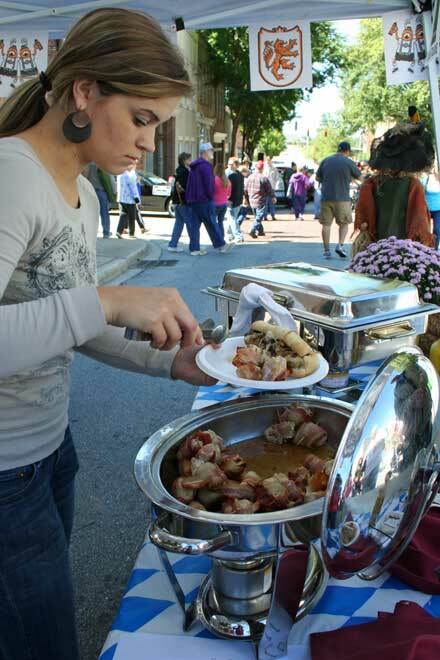 Local chefs will also be cooking up delectable German dishes in demos on the culinary stage. 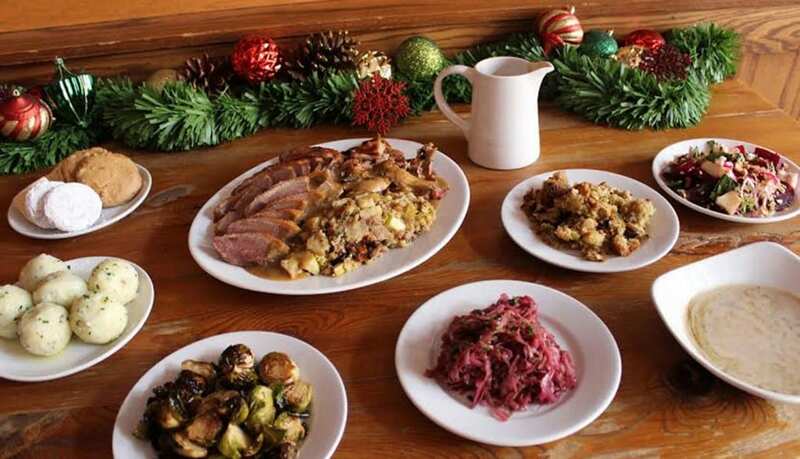 Gasthaus zur Elli has been one of the top 5 German restaurants in America for some years and I promise that this German restaurant in Prosperity truly deserves the kudos! So don’t miss a chance to pick up some tips when Gausthaus Zur Elli chef Wendy Steiner gives a cooking demo at 1:30 pm. The big question is: Who will will the Liver Nips Cook-Off? I have to confess I’m not a huge fan of liver nips. (I’m originally from Florida – we have our own odd local delicacies.) But the liver nips contest is an annual tradition hosted by the Newberry Chamber of Commerce and we take the liver nips rivalry very seriously. So seriously, the winner walks away with a $250 prize. If you don’t know what liver nips are, you can make their acquaintance at the cook-off at 11:30 am. 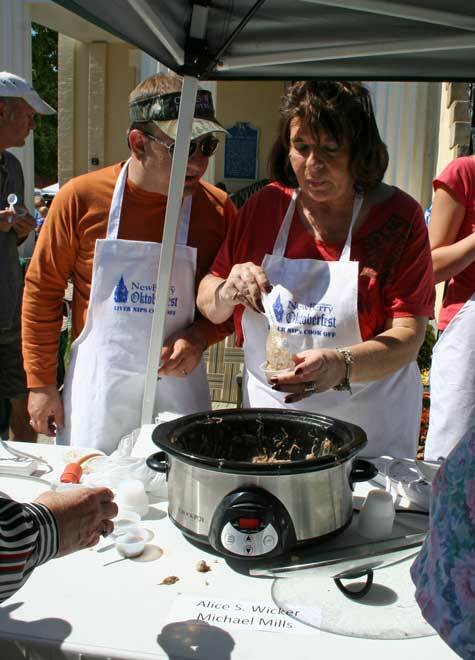 Or if you can’t visit Newberry Oktoberfest, find recipes for the South Carolina delicacy here. 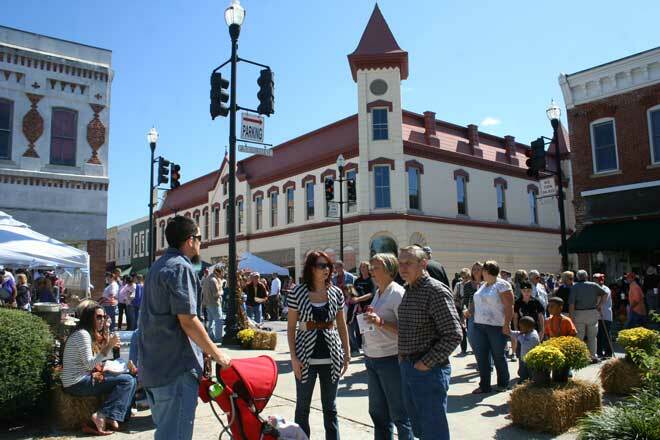 Happy Newberry Oktoberfest and Prost! 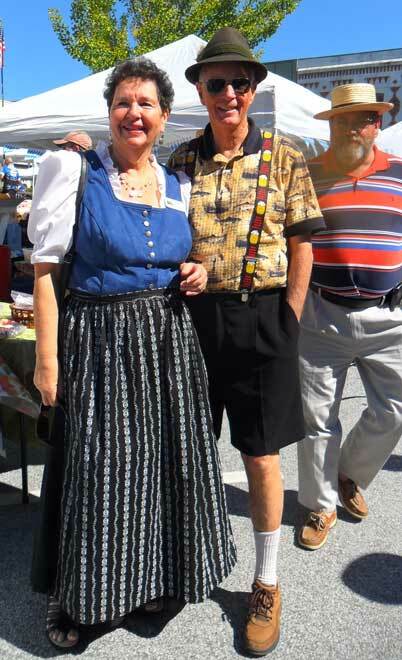 This entry was posted in Holiday Fun and tagged Antique Furniture, European Antiques, German Beer, German Food, Liver Nips, Oktoberfest, Oktoberfest Newberry, Oktoberfest Newberry SC on September 30, 2013 by admin. Happy Oktoberfest in Newberry, SC! 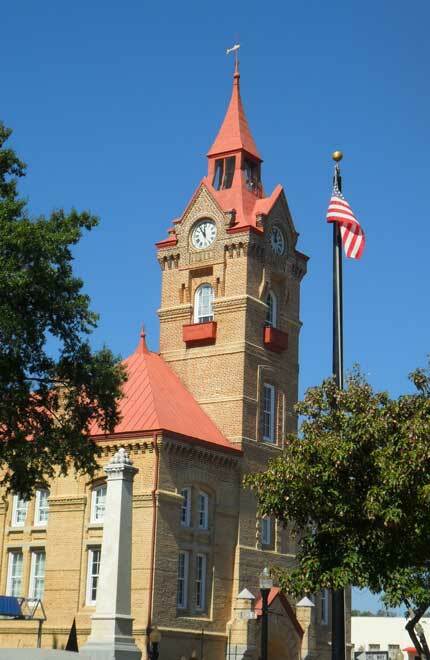 Newberry, South Carolina, is a sleepy southern town and on most days reminds me of Mayberry on the Andy Griffith show. With a population of just 10,000 in the city limits, chances are that if you bring up someone’s name in conversation, a relative of theirs will be within earshot. We’re known as the City of Friendly Folks for a reason – everyone smiles, waves to passing cars, and is happy to spend a few minutes chatting to find out what’s new with you. 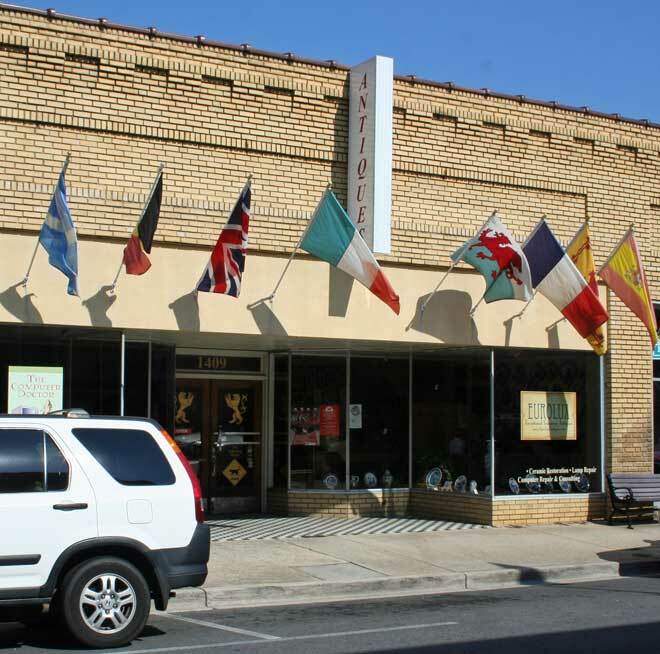 You’ll find EuroLux Antiques right on Main Street in an Art Deco building dating to 1910. You can’t miss us – we have European flags flying over an original black and white tiled entrance. 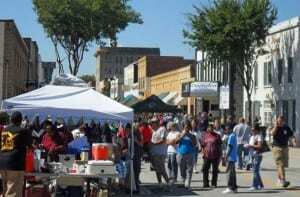 On every first Saturday of October, crowds descend and Newberry celebrates its German heritage with an Oktoberfest festival held on Main Street in our historic Downtown. 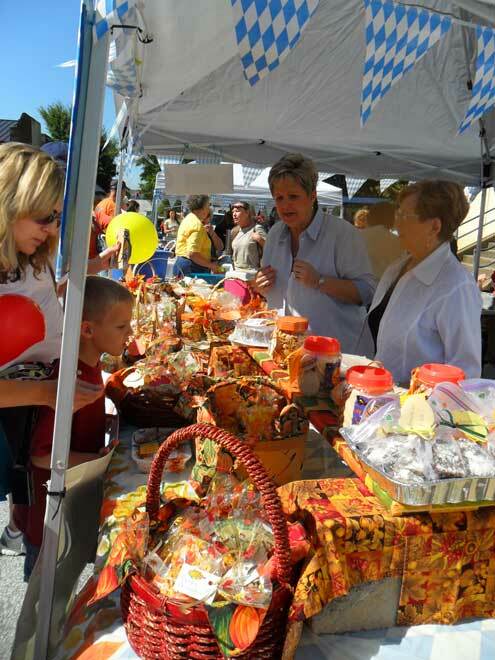 This year, Oktoberfest will be held on Saturday, October 1st from 10 am until late afternoon. 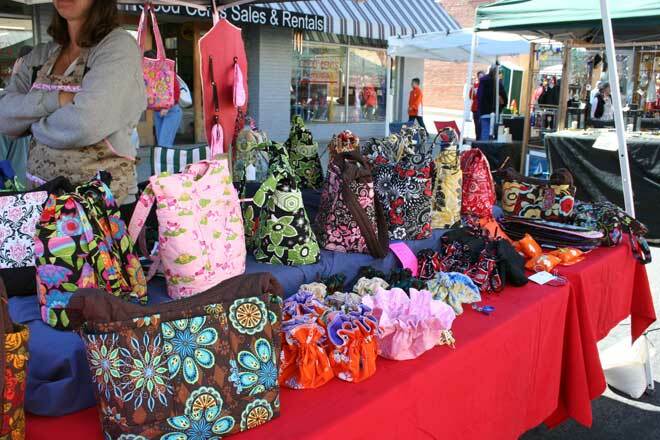 The streets will be filled with arts and crafts vendors and local churches will offer delicious, home-baked goods. New this year will be pottery demonstrations held in front of the big, yellow community hall throughout the day. 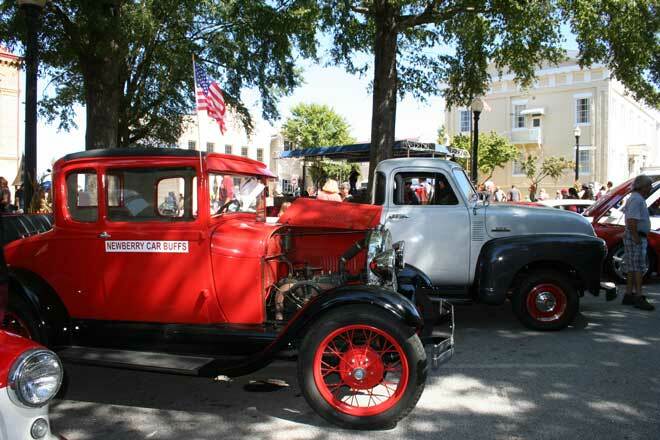 Stroll around the square in front of the Newberry Opera House to see a Classic Car Show. There’s a good bit for the kids to do too: jump around in the inflatables, make a project at the Lowe’s kid’s tent, or attempt to scale a climbing wall hosted by the South Carolina National Guard. Of course, the best part of Oktoberfest, in my opinion, is the German food and the Biergarten! 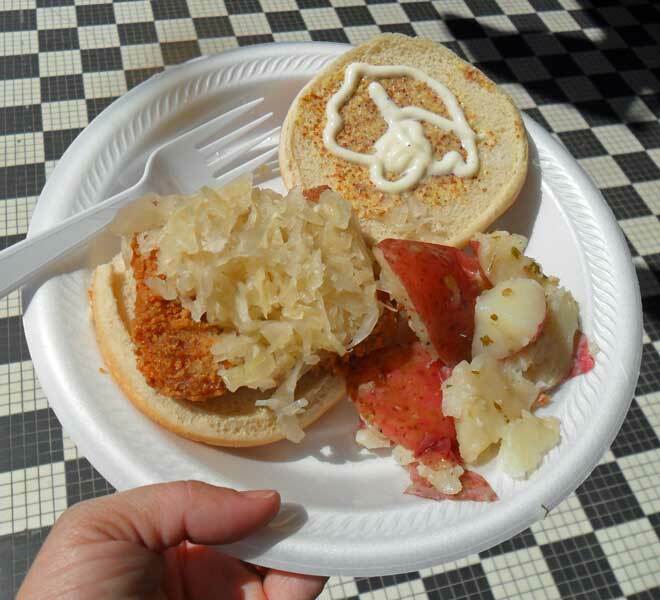 You’ll find schnitzel-a-plenty, sauerkraut, bratwurst, German potato salad, and more! Stop in at the culinary stage where three local chefs will give demonstrations and don’t miss Wendy Steiner of Gasthaus zur Ellie at 1:30 pm! You may have heard of “that German restaurant in Prosperity” that was named one of the top German Restaurants in America! I can personally attest that Wendy’s restaurant is AWESOME and you should definitely go eat there! You’ll find a large selection of German beers in the Biergarten right next to the Opera House, which will help you wash down the liver nips. What is a liver nip, you ask? 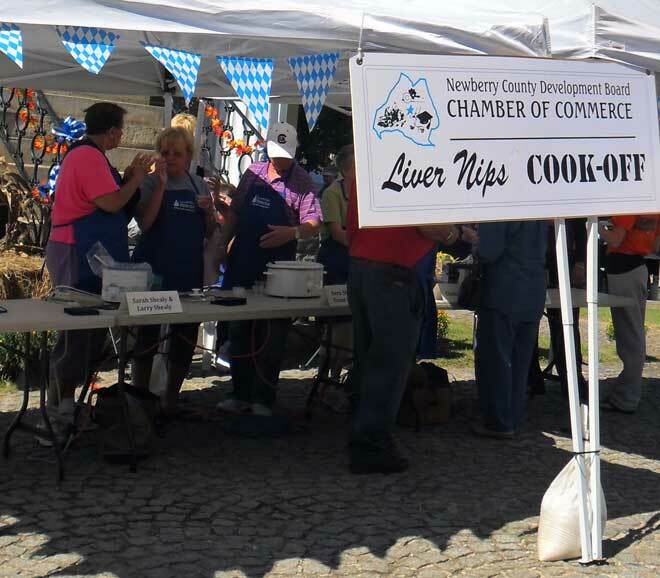 I’m not exactly sure since I’m not originally from around here (Bless my heart, I’m from Florida), but the Newberry Chamber of Commerce hosts the Annual Oktoberfest Liver Nips Contest. First prize is $250! And Oktoberfest wouldn’t be Oktoberfest without entertainment and oopma music! Polish and German polka starts at 10 am, followed by different types of music throughout the day (classic rock and 80’s music), and ending with a German blues musician taking the stage at 4 pm. Be sure to catch the free puppet shows put on by the Bremen Town Musicians (The Patchwork Players from Columbia, SC) at the Ritz Theater throughout the day. 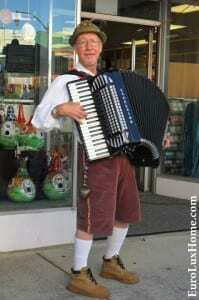 So put on your lederhosen and dirndl and come on down to Newberry, home of the best Oktoberfest in South Carolina! 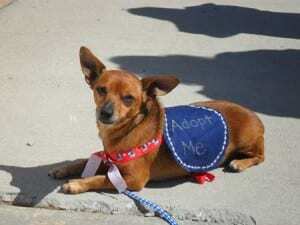 Greg and I hope to see you in Downtown Newberry for Oktoberfest! 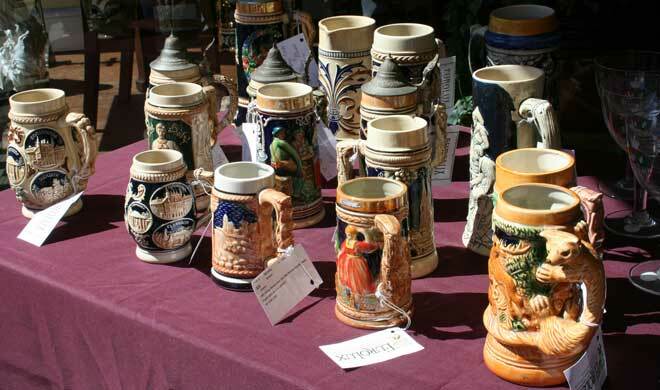 Grab a Hefeweizen and a plate of Schnitzel and be sure to stop in to EuroLux Antiques to say hello! Happy Oktoberfest! And thanks for stopping by the EuroLux Antiques blog! This entry was posted in Holiday Fun and tagged Antique Furniture, European Antiques, German Beer, German Food, Liver Nips, Oktoberfest, Oktoberfest Newberry, Oktoberfest Newberry SC on September 29, 2011 by euroluxantiques.